This document has been produced for the mutual benefit of the client and SA Architectural Services and should be read in conjunction with any other supporting documentation for the respective project. It includes a brief outline indication of the contract management services and fee structure applicable to the project. SA Architectural Services will confirm its understanding and acceptance of the client's instructions setting out the Terms under which the services are to be provided by SA Architectural Services under the Terms of Engagement. We will first obtain the prior consent of the client before giving instructions to any third parties or suppliers which would have the effect of materially varying the nature, cost or timescale of the project works. SA ARCHITECTURAL SERVICES shall perform all services with reasonable skills, care and diligence and conforming to the standards and operating practices of the architectural profession, but no liability shall attach to SA ARCHITECTURAL SERVICES in respect of such services to be provided, except such liabilities as is covered by the professional indemnity insurance maintained by SA ARCHITECTURAL SERVICES. 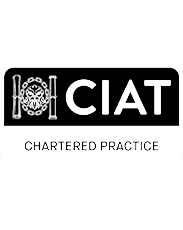 Maintains full professional indemnity insurance and provides a package process of works in line with the RIBA sequence of work stages. A copy of our insurance indemnity can be supplied if requested. All instructions to SA ARCHITECTURAL SERVICES should be confirmed in writing. The client must notify SA ARCHITECTURAL SERVICES in writing of any variation which he / she wishes to make to the agreed Terms. The client is expected, where applicable, to pay all fees for Planning Applications, Building Regulation Applications, and all statutory applications as necessary direct to the relevant authority or associated organisation, and reimburse all payments to SA ARCHITECTURAL SERVICES made during project enquiries & searches to statutory undertakers. The initial submission of all project documentation will be made by SA ARCHITECTURAL SERVICES with immediate notification and reference details passed to the client within 48 hours of the submission. Information of a confidential nature which you provide to us will be kept strictly confidential, subject to our obligations at law. However, if we are working on a matter in conjunction with other appointed consultants / advisors you have employed, we will assume, unless you notify us otherwise, that we may disclose any information and discuss it with such other advisors as appropriate. The Data Protection Act 1998 makes clear demands on organisations in terms of the security that must be applied to protect personnel data. SA ARCHITECTURAL SERVICES comply with the current law on data protection. We store and process information about our clients in the context of our business, and we are able in most circumstances, to supply you, on request, with copies of the information which we store. You accept that to enable us to fulfil our obligations it may be necessary, from time to time, to carry out credit searches or other searches as necessary to prevent fraud or deception. Both SA ARCHITECTURAL SERVICES and Client agree not to issue any publicity material or information to the media or other about our relationship and the works we are commissioned to do, without the other party’s consent, and with exception to that material which is already in the public domain such as planning applications, which are available to view freely on the Planning Portal. SA ARCHITECTURAL SERVICES after completing all works will retain in archive storage all project documentation for 7 years, depending on project type, and from the final invoice date. No charge will be made against the client for storage, and such documents will then be destroyed without further notice. If we retrieve plan details or associated documents from storage in relation to new instructions to act in connection with the Clients’ affairs, we will normally not charge for this service, but we reserve the right to do so if this request has to be expressed. However we may charge based on time spent for producing stored plans and documents to you or another party at your request. Unless otherwise specifically requested in writing, all work will carry our company logo or imprint, which will be plan and document positioned at our discretion. Only the Principal Consultant may vary these Terms & Conditions of Engagement but must do so by letter to the Client within 7 days of appointment, terms beyond this period cannot be altered. SA ARCHITECTURAL SERVICES may correspond with you by email, unless you advise us in writing that you do not wish us to do so. You acknowledge that email may not be secure and that it is possible that emails can transmit computer viruses and other damaging items which it is not possible to completely eliminate. Email will be treated as written correspondence and we are entitled to assume that the purported sender of an email is the actual sender and that any express or implied, approval or authority referred to in an email has been validly given. You consent to us monitoring and reading any email correspondence travelling between you and any email recipient of SA ARCHITECTURAL SERVICES. SA ARCHITECTURAL SERVICES shall be under no liability if it shall be unable to carry out any provision of the contract for any reason beyond its control including legislation, fire, war, flood, drought, failure of power supply, Lock out or action taken by employees in contemplation or furtherance of a dispute or owing to any inability to procure materials required for the performance of the contract. During the continuance of such a contingency, the client may by written notice to SA ARCHITECTURAL SERVICES elect to terminate the contract and settle payments for work prior carried out and materials used or purchased, but subject thereto shall otherwise accept delivery of completed works when available. The copyright and Design Rights in all designs and documents prepared by SA ARCHITECTURAL SERVICES shall remain the copyright and Design Right of SA Architectural Services, and will be issued under the Terms of the Copyright Designs and Patents Act 1988, and ACID (Anti-Copying in Design) 2005 and subject to us having been appointed up to and including all RIBA work stages 0, to 5 (contract administration) and all fees and expenses properly due under this Agreement having been paid in full. We will grant to the Client an irrevocable, non-exclusive, royalty-free licence to copy and use the documents for any purpose directly related to the project. We shall not be liable for any use of the documents or for any purpose other than that for which they were prepared and provided. SA ARCHITECTURAL SERVICES shall be entitled to fees in respect of any other use. SA ARCHITECTURAL SERVICES may publish or jointly publish any description or illustration of the works with the prior consent of the client. Any dispute between the client and SA ARCHITECTURAL SERVICES which cannot be resolved between the two parties shall be referred to mediation. Either party may refer any dispute to adjudication in accordance with the Construction Industry Council model adjudication procedure. The Client may suspend our performance of all or any of the services by giving 7 days’ written notice to us. If the services have been suspended for a period of more than 12 months either party may terminate the Agreement, by giving written notice to that effect. The Client may terminate our appointment under this Agreement by giving 7 days' written notice to us. Where the services have been suspended by the Client and the Agreement has not been terminated, the Client may, by giving reasonable written notice to us, require us to resume the performance of the services. If the Client materially breaches its obligations under this Agreement we may serve on the Client a notice specifying the breach and requiring its remedy within 28 days, and if the Client thereafter fails to remedy that breach within that period, we may terminate this Agreement by giving written notice to the Client. If either party commits an act of bankruptcy or has a receiving or administrative order made against it, and/or goes into liquidation, and /or becomes insolvent, and/or makes any arrangement with its creditors, the other may suspend performance of the services or may terminate the appointment by giving written notice to the Client. NB: In the event of termination by the client SA ARCHITECTURAL SERVICES reserves the right to claim all fees up to the date of termination. The Contract Full Management Package consists of formulating the Client’s brief, feasibility appraisal, site survey, preparation of sketch scheme plan details for the Client’s appraisal and approval preparation of full working drawings, specifications and schedules, with submission made of the approved works for statutory consents. (BIM) Building Information Modelling & 3D Designs are carried out by our associated sub-contracted Design Consultants. SA ARCHITECTURAL SERVICES reserve the right to use sub-contracted Design Consultants at our discretion, and several sub-contract consultants are closely associated with SA ARCHITECTURAL SERVICES. Any planning application fee must be paid by the client direct to the Local Authority. Planning Application decisions can take a minimum of up to 8 weeks and a maximum of 12 weeks for application approval or rejection to be determined. (Please Note: It is not uncommon for Planning Officers to request design changes and/or extension of time to the application process. This could result in the application being withdrawn, thus retaining the Application Fee and to allow time to complete the revisions requested. SA ARCHITECTURAL SERVICES will endeavour to negotiate with Planners prior to the application submission to avoid revision requests). SA ARCHITECTURAL SERVICES will not be held responsible for actions or decisions requested “or made” by the Planning Departments/Planning Officers following plan submission. Any alterations requested by the Planning Departments / Planning Officers, or any other party during the application process will inevitably be chargeable. FRA (Flood Risk Assessment & Drainage Management) Ecology Surveys, Arboricultural Surveys, Traffic Surveys Environmental and Contamination Assessments which can form part of the planning process are carried out by our associated consultants who provide this service. SA ARCHITECTURAL SERVICES will advise on any part required for the Planning process & fees at the design brief stage. Consultant fees are “and will be” the responsibility of the Client, not SA ARCHITECTURAL SERVICES, and this must be paid direct to the consultant as advised. SA ARCHITECTURAL SERVICES will represent planning applications in most cases which are of a controversial nature, and which are to go for discussion to the Development Control Board (DCB). Contractual percentage or agreed fees must be paid in full. SA ARCHITECTURAL SERVICES will not represent applications where percentage or agreed costs of the contractual fees have not been received. Most approved planning applications have Conditions attached which must be removed prior to development and/or occupancy. It is an offence to commence work prior to the receipt of planning approval and the elimination of Planning Conditions. SA ARCHITECTURAL SERVICES accept no liability for work commenced prior to the receipt of statutory approval, unless otherwise instructed by SA ARCHITECTURAL SERVICES in writing. The removal of Conditions is chargeable at a unit hourly rate to be confirmed. If the building is of a listed grade or as being of Architectural or Historical importance, then an application for Listed Building Consent will be necessary in addition to accompany the full planning application. Depending upon the grading of the building, the application process could take up to minimum 8 weeks and maximum 12 weeks before a determination and in some instances may have to be referred to the Secretary of State.  SA ARCHITECTURAL SERVICES are partnered with Local Authority Building Control, (LABC) this service however is no longer mandatory to the local authority and private Building Control Approved Inspectors now carry out this service. SA ARCHITECTURAL SERVICES will advise on this at the design brief stage. SAP / EPC (Energy Performance Certification Part L Building Regulations) these are required for all new development projects and conversions. In some cases large property extensions can also require this service to satisfy building control requirements. Our associated consultants provide this service, and SA ARCHITECTURAL SERVICES will advise on this & fees at the design brief stage. Fees to Third parties are the responsibility of the Client, not SA ARCHITECTURAL SERVICES. Water Calculations (Part G Building Regulations) these are required for all new development projects and to satisfy building control requirements. SA ARCHITECTURAL SERVICES can provide this service but reserve the right to use our associated consultants who provide this service, and SA ARCHITECTURAL SERVICES will advise on this & fees at the design brief stage. Fees to Third parties are the responsibility of the Client, not SA ARCHITECTURAL SERVICES. Our associated Consultants provide this service and SA ARCHITECTURAL SERVICES will advise on their appointment at the design brief stage. All necessary fees are “and will be “payable by the Client direct to the appointed consultant. Fees to Third parties are the responsibility of the Client, not SA ARCHITECTURAL SERVICES. As from the 6th of April 2015 all home (building) owners of domestic / residential properties will be legally responsible to appoint a principle designer and principle contractor where there is more than one contractor to your project to ensure “that you the owner” meet your responsibilities for the health and safety management of your project. CDM 2015 is now a legal duty of the client to uphold for the safe organisation, management and health and safety on your project. Failure to appoint a principal designer or principal contractor will ultimately be the clients responsibly “as the home owner” to carry out the legal health and safety duties and responsibilities for the matters and operations which they should have done. SA ARCHITECTURAL SERVICES will advise further on this on commission. Our associated Health and Safety Consultants provide this service and SA ARCHITECTURAL SERVICES will advise on their appointment at the design brief stage. SA ARCHITECTURAL SERVICES will make appropriate information available to ensure clients are aware of their duties and obligations under this regulation. All necessary fees are “and will be “payable by the Client direct to the independent consultant. Depending on the complexity of the project SA ARCHITECTURAL SERVICES may elect to undertake this work in house. (SA ARCHITECTURAL SERVICES) will not carry out a full in depth underground investigation with respect to the existing on site & surrounding above and below drainage and Utility services. The design involvement by is to provide the Client / Contractor, and local authority Planning and Building Control suitable information relevant for obtaining full statutory approvals, and for statutory health and safety obligations. It is advised that you “the client” contact all relevant utility companies, who will provide you with further information and advice. Utility companies will charge for providing further utility maps and advice as well as an administrative and connection fee/s for the proposed works. It should be noted that every job is different and therefore we recommend that you make early enquiries regarding this. SA ARCHITECTURAL SERVICES will not carry out searches for Gas, Electric, Oil and/or BT. SA ARCHITECTURAL SERVICES Advise clients to take meter readings of all services prior to any works to ensure excessive bills will not be incurred by the contract during the process of works. A schematic design appraisal will only follow once the search information is obtained, as any identified water Public Authority owned drains within 3.000m & 6.000m could have severe design implications, and consents / approvals may be required to build close to “or build over” within these distances. Where the new works involve the connecting to’ or altering of an existing drainage system, SA ARCHITECTURAL SERVICES advise to appoint a specialist to undertake this work on your behalf. SA ARCHITECTURAL SERVICES will provide and record as part of the initial survey, notes of existing inspection chambers / manholes and drainage runs. Where possible covers will be lifted and invert and cover levels will be taken to the drainage channel so as to obtain the drainage fall levels. Ultimately it will be the responsibility of persons carrying out works on site to determine and investigate that the existing drainage system and condition is suitable, fit for purpose and that any connections “and/or alterations” are carried out in compliance and in accordance with the guidelines and obligations of the Water Authority and the Building Control. The party wall etc Act 1996 is an integral and legal part of the statutory process and applicable when building within 6.000m and 3.000m of a neighbouring property. The Act is also applicable where building on a boundary (line of junction) or to the physical party wall which could affect adjoining owners. SA ARCHITECTURAL SERVICES will advise on this further if applicable. SA ARCHITECTURAL SERVICES maintain a split fee structure, based on the agreed contractual fees with the Client. This is percentage calculated to each work stage process completed. Details of the contractual fees are supplied along with the split percentage fees highlighted for settlement at the completed work stages, or fixed hourly rates as contractually confirmed. Fee charges for various projects may differ as they are calculated and set to reflect the varying complexity and work involved for each individual scheme. Accounts for fees will be submitted at agreed stages, and payment will be due for settlement immediately upon receipt of the invoice. The client must notify SA ARCHITECTURAL SERVICES immediately of any dispute he / she has regarding the invoice. All items that are not disputed will be due immediately and the client shall not be entitled to make deduction or set off in respect of any other claim. SA ARCHITECTURAL SERVICES apply the same hourly rate to every part of the design service required regardless of the level of expertise involved, and our hourly unit rate is £85.00. Due to the legal severity of party wall matters SA ARCHITECTURAL SERVICES carry this service out at a unit rate of £125.00 per hour. SA ARCHITECTURAL SERVICES Charge an hourly rate of £85.00 for all design works carried out which is broken down into 10 units and calculated at £8.50 per 6 minute increments. Expenses Our invoices will include reimbursement of payments made to third parties on your behalf, or for your benefit. This is called project disbursements, and the expenses incurred will depend upon the type of project work we are commissioned by you to carry out. Before we commit to these disbursements we will obtain your approval before incurring liability for substantial expenses, however we reserve the right to request that you pay third party expenses direct to third party involvement, such as appointed third party consultants “Engineers, Energy Consultants etc & Council application fees”. Travel expenditure is charged at 50p per mile. SA ARCHITECTURAL SERVICES maintain a detailed record of the time duration spent to each project. The company’s charges are calculated primarily by unit reference and will charge their time on the basis of the total time duration spent on the project unless a detailed fee proposal figure has been provided and agreed with the client beforehand. 2 plan sets are issued to the client at the planning stage with all documentation and application acknowledgements / receipts. 3 plan sets are issued at the construction stage, with all documentation. Further plan copies requested over and above these stated amounts will be charged for accordingly. Invoices are supplied at the time of hand over of commissioned goods, and invoice payments are to be made strictly on Invoice presentation. A 7-day allowance is provided for holidays or other, which would be agreed between the parties prior to commission agreement. All work to be carried out, whether experimentally or otherwise, at the clients’ request shall be charged for. SA ARCHITECTURAL SERVICES are prepared to provide speculative work, however written confirmation is provided by the company or individuals beforehand. Late payments will at our discretion enforce our statutory right to claim interest and compensation for costs recovery under the late payment legislation as set by Statute (Late Payment of Commercial Debts Act 1998) and interest will be charged at a base rate of 5% above base rate or at a rate as set by Statute, from the reasonable expiration of a 14 day invoice period of service of plan details and awards until payment is thereafter made in full. SA ARCHITECTURAL SERVICES Also reserve the right to withdraw any statutory planning or building applications made on the client’s behalf until payment in full is received, once received the application withdrawn will immediately be re-presented. The client wishes to appoint SA Architectural Services to carry out services in connection with the project, as discussed, and within the terms and conditions as set out in this document. Due to insurance and the procurement process, we are unable to commence project works until these terms are signed and received, your agreement to this is your commission for us to proceed, and neither the client nor ourselves shall assign the whole or any part of this Agreement without the consent of the other in writing. Please note: This contract is legal & binding and will be governed by the laws of England and Wales.